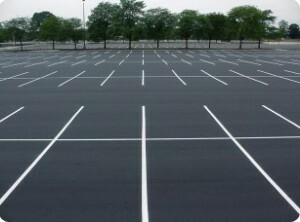 Smith Elite Striping brings a variety of services for your parking-lot needs. We handle more than just line striping. We specialize in Handicap parking, Speed breakers, Stop bars, Curbing, Stencil's Signs and Parking breakers. We have a well trained crew that is able to handle any size job.